We believe that safety and education for our members should always be a top priority. This is where you can access programs, policies and online courses to learn more about the industry, sport and equine health and welfare. Looking for a sanctioned competition, horse-related event or business in Ontario? Your community of fellow equestrians can be found here, in our events calendar and business directory. Are you ready to compete or want to organize a competition? This is where you can find a sanctioned competition, discipline associations, athlete development opportunities and information packages to help you host a sanctioned competition. We believe that certified coaches, sanctioned competitions and accredited riding facilities are important in ensuring the safety and accountability of equestrian activities in Ontario. Learn more about how we can help you attain your certification. Join or Renew your membership today! The Ontario Equestrian Provincial Officials Program provides an opportunity for students of the sport to learn the basics of the role and responsibilities of an entry level dressage, hunter or jumper judge, or a hunter or jumper course designer. This program offers training and certification to those who have worked with an official and can provide a reference outlining their experience in mentoring or shadowing in one of these roles. 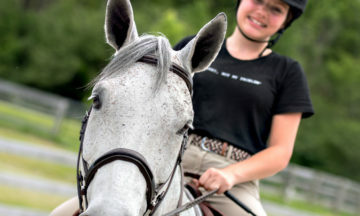 With those references, annual training and successful completion of a Provincial Level Officials Test, you can become a certified Provincial Official providing support to Equestrian Skills Development competitions in Ontario. Many people who wish to become Nationally Accredited Officials, start on their path with experience in this program.